The London Tube or the Underground is a rapid public transport system serving a large part of Greater London as well as parts of the home counties of Buckinghamshire, Hertfordshire and Essex where it serves around 270 stations and 402 kilometres of track out of which 55% is above ground. Its history dates back to 1863 when the Metropolitan Railway, the world’s first underground railway opened between Paddington and Farringdon serving six intermediate stations. The Underground network, which has been nicknamed The Tube’, by generations of Londoners, has now increased to 270 stations and 11 lines stretch deep into the Capital’s suburbs and further on. The network incorporates one of the world’s first underground railways, which is now part of the Circle, Hammersmith & City and Metropolitan lines as well as the first line in 1890, to operate electric traction trains, the City & South London Railway which is now part of the Northern line and in 2012/13 has carried around 1.23 billion passengers all across the various stations. The system’s first tunnel was constructed below the surface using the cut and cover concept. Later on circular tunnels were dug through the London Clay which was much deeper and the former lines were marketed as the Underground in early 20th century on maps as well as signs at central London stations. Private companies which owned and operated the railways were merged in 1933 and formed the London Passenger Transport Board. 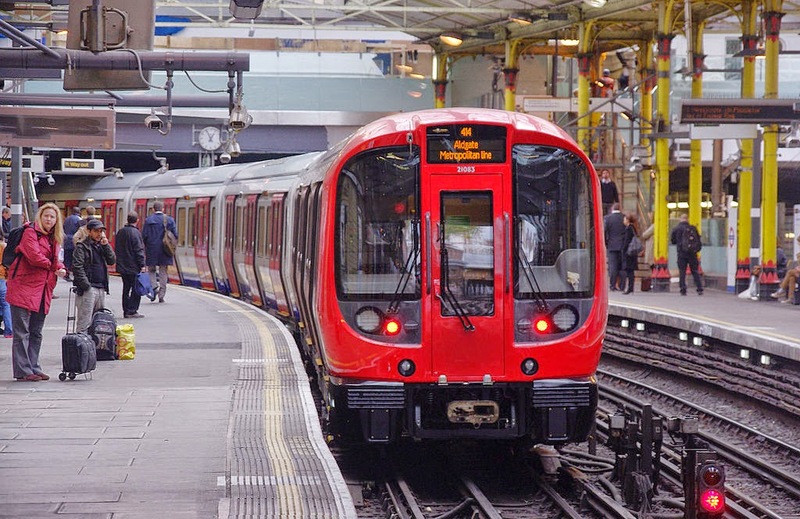 London Underground Limited – LUL, the prevailing operator is a wholly owned subsidiary of Transport for London TfL, which is the statutory corporation that is responsible for several elements of transport network in Greater London. The idea of constructing an underground railway was proposed in 1830 to link the City of London with some of the railway termini in the urban centre with the Metropolitan Railway permitting to build a line in 1854. The underground railways was opened in January 1863 using gas lit wooden carriage hauled by steam locomotives which was a success serving 38,000 passengers on the first opening day which was done by borrowing trains from other railways to provide service to the passengers. The Metropolitan district Railway which is also known as the District Railway opened in December 1868 from south Kensington to Westminster as a part of a plan for an underground inner circle which connected London’s main line termini. The Circle line with the Metropolitan and District railways was completed in 1884 with the cut and cover concept.Both the railways expanded with the District building five branches towards the west which reached Ealing, Hounslow, Uxbridge, Richmond and Wimbledon while the Metropolitan extended towards Verney Junction in Buckinghamshire which is over 50 miles from Maker Street and the centre of London. The Tube or Underground in the city of London is one of its kinds and London would not exist without the tube and the visitors would not want to leave the British capital without the `Mind the Gap’ image, which is the first underground railway system in the world.